While most schools aren’t hiring now for the upcoming school year, there are three key actions you can (and must!) 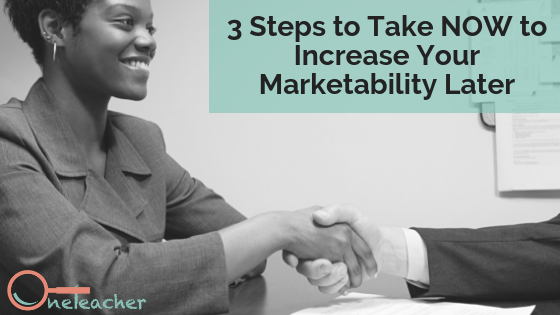 take now to make sure that you’re best positioned for the job you really want come spring. All three of these strategies take time, so don’t put them off until later. Taking these steps early and before you feel a need to do so can provide healthy perspective on your accomplishments and opportunity to think about your goals and focus of your current professional endeavors as well. Gather student data. Student data can really set you apart from other applicants because it’s one piece of hard evidence that shows your skills as an educator. Often end-of-year assessments aren’t released in time for you to include them in an interview process, so having your own reliable data is important. If you didn’t pre-assess your students at the start of the year, find and administer a strong comprehensive assessment now that you can repeat in the Spring. Another beneficial (but often forgotten) pieces of data are student and parent surveys. 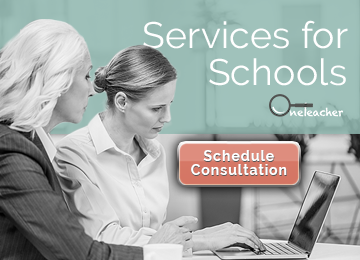 Once or twice a year, we recommend administering a student survey and a parent survey. This will not only help you to refine your practice as an educator, but also will provide you with powerful evidence about your well-roundedness in conversations with potential employers. Having a likert scale component to the surveys as well as an open ended section can provide valuable insight as well as clear data to include on a resume or in an interview. Start networking. All relationships take time to develop, and building a robust professional network is no different. If you haven’t already, update (or create!) your LinkedIn profile, and become more active in community networking events. Many cities offer TED talks or have organizations like Young Education Professionals with events to attend. Be shameless about making conversation and cultivating connections at them, no matter how uncomfortable it might be. The key to networking is to develop authentic relationships–ones that will be mutually beneficial to both parties when a need arises. You never know what can develop, but you won’t be able to cultivate a robust network overnight–you have to get started now, months (or years) in advance of when you might need it. Update your resume. This one sounds like a no-brainer and something that can wait, but the sooner you update your resume, the more time you have to refine it in a low-pressure environment. By revisiting your resume now, you can identify weaknesses and fill in gaps over the next couple of months. For example, if see that you don’t have much leadership experience but want to begin to transition into a leadership role, you still have time to get that experience before it needs to appear on your formal resume. The more your resume is in the forefront of your mind, the more you’ll recognize resume-worthy skills that you demonstrate in your day-to-day life. Starting early with resume revisions takes the pressure off, which will allow innovative ideas to trickle in over a period of time, ultimately making for a stronger final product. Finding a new job may be the furthest thing from your might at this point in the year. However, starting to take these three critical actions will not only position you to have the strongest options later and also can make you a stronger educator now for your current students. If you are ready to make a move, make your life easier by connecting to dozens of schools through one source: OneTeacher! By learning about your skills, perspectives, and experiences, we’ll work to match you with a great fit that is right for you! 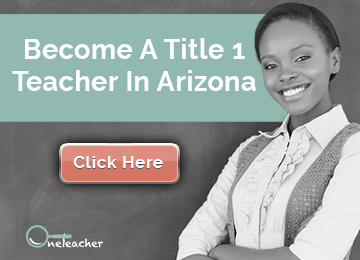 Connect with us by emailing your resume and cover letter to info@oneteacheraz.com today. 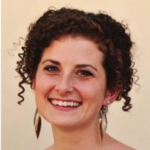 Nina Tinsley is the Senior Director of Marketing and Development at OneTeacher and a former secondary ELA and math teacher and classroom management and culture coach.